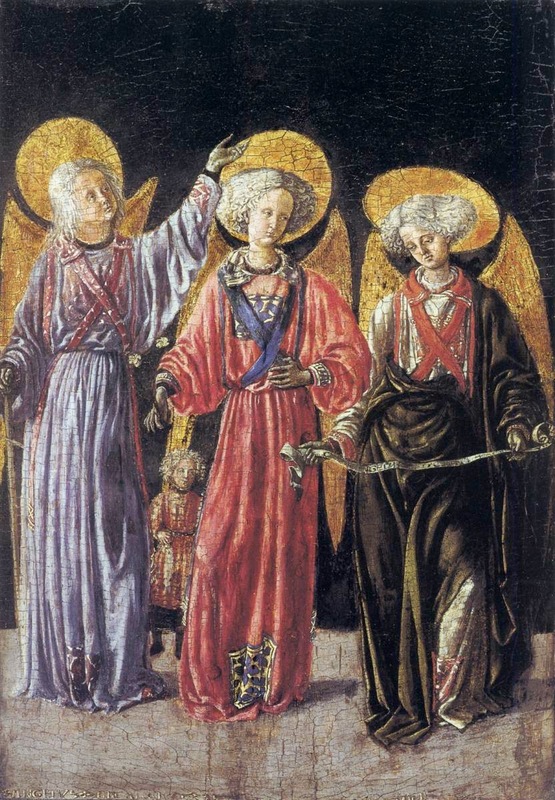 The hymns chosen for the Feast of Saints Michael, Gabriel and Raphael; Archangels proclaim with the Church that the existence of the spiritual, non-corporeal beings that Sacred Scripture usually calls "angels" is a truth of faith which is in complete unanimity with Sacred Tradition. Beginning at Paragraph #329, the Catechism of the Catholic Church says this concerning Angels: "Who are they? St. Augustine says: "'Angel' is the name of their office, not of their nature. If you seek the name of their nature, it is 'spirit'; if you seek the name of their office, it is 'angel': from what they are, 'spirit', from what they do, 'angel.'" With their whole beings the angels are servants and messengers of God. Because they "always behold the face of my Father who is in heaven" they are the "mighty ones who do his word, hearkening to the voice of his word - Matt. 18:10".